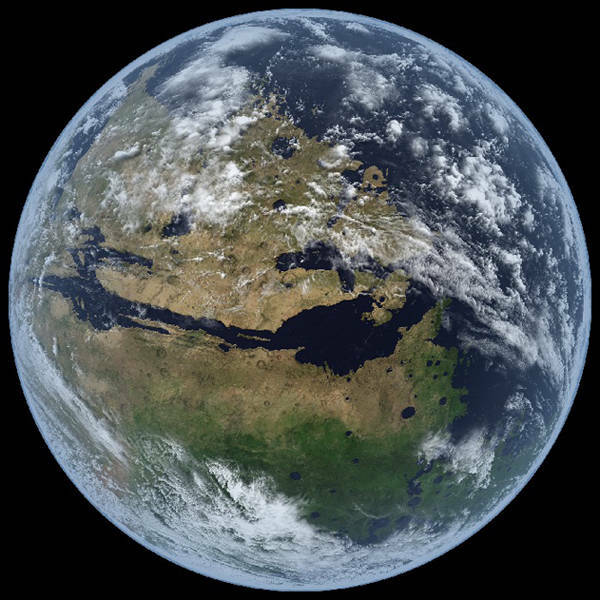 Images If you've ever wondered what Mars might have looked like in the distant past when it had oceans and a cloud-filled atmosphere, an enterprising geek and digital artist from Nashua, NH, can help. But before we inspect the results of the imaginative Kevin Gill's combination of programming chops and artistic skills, let's take a quick look at what our neighbor planet actually looks like today, as created by NASA's Mars Digital Imaging Model (MDIM) effort using raw image data from the Viking Orbiter. Gill wondered what that dessicated ball might have looked like back when it had oceans and greenery – that is, of course, if it ever had full-scale oceans and widespread greenery. As he explains, he first rendered a two-dimensional elevation model using jDem846 – "an open-source learning project of mine" – using a data set from the Mars Reconnaissance Orbiter's (MRO) Mars Orbiter Laser Altimeter (MOLA). He then picked an arbitrary sea level, and rendered all terrain at or below it flat and blue. 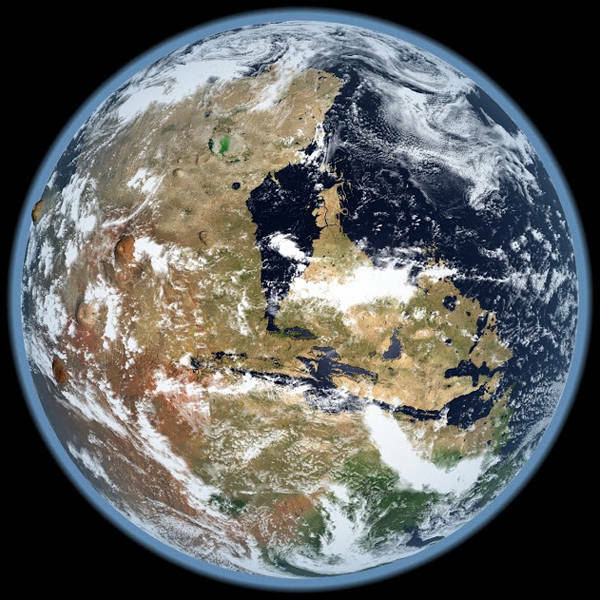 "The resulting model," he writes, "was then brought into GIMP were [sic] I painted in land features using a NASA Blue Marble Next Generation image for the source textures." Gill freely confesses to the arbitrary nature of his planetary time machine. "There is no scientific reasoning behind how I painted it," he admits. "I tried to envision how the land would appear given certain features or the effects of likely atmospheric climate." In addition, he writes, "The height of the clouds and atmosphere are largely arbitrary and set for the sake of appearance and coverage over the exaggerated terrain elevations (~10 times elevation exaggeration)." Notice the ... hmmm .... oops. 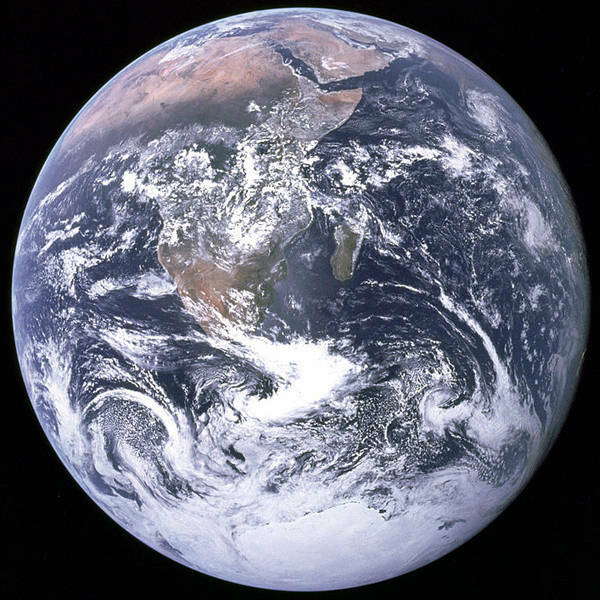 That's an image of our own planet, the famous "Blue Marble" shot taken by the crew of the Apollo 17 spacecraft on December 7, 1972. 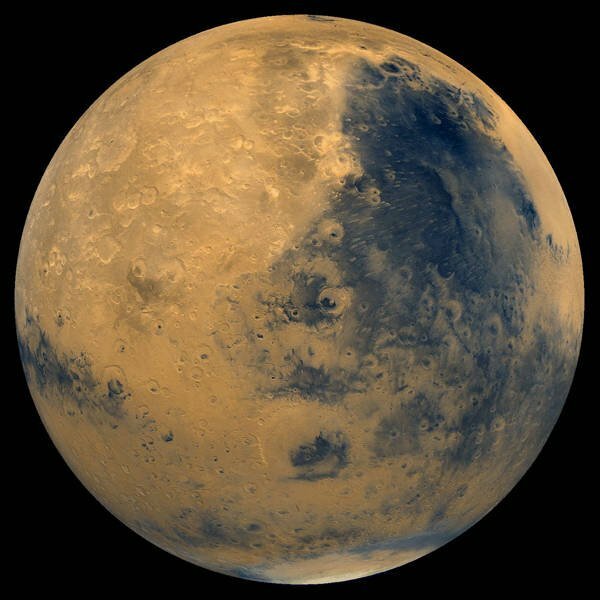 That forty-year-old snapshot may seem like it was taken a long time ago, but it's a fraction of a fraction of a fraction of a blink of an eye when compared to the age of Gill's imaginary eons-old Mars. Is Gill's vision of Mars' past wildly innacurate? Reasonably close? Spot on? We'll have to wait until science conquers that pesky "time goes in only one direction" conundrum to find out.